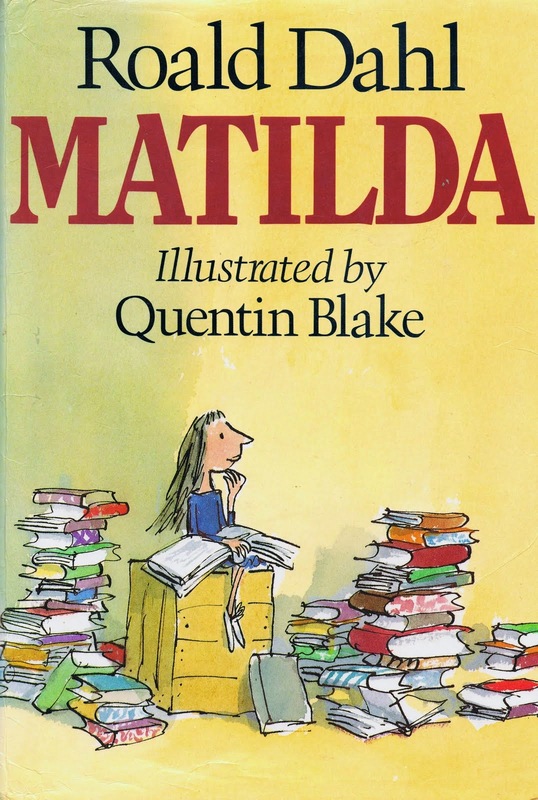 I was asked to vote in a BBC poll to find the top 10 children's books of all time. I found it impossible to pick 10; whatever I chose, brilliant books got left out! So I know this list is problematic, and I might choose another 10 books on another day. 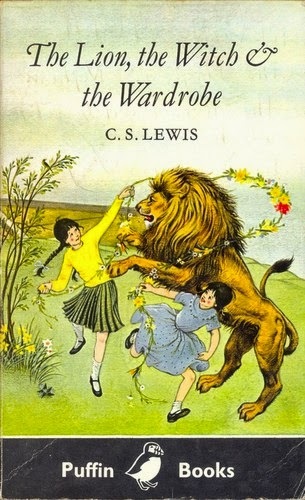 But I'm in favour of anything that celebrates children's books, and reminds us how many classics the field has produced. So here's my list, in chronological order. What would be on your top 10? Ah, Watership Down is one of the best books ever written. So glad to see it here. And I suspect if I had to do a top 100, there would still be books I regretted leaving out! Great list! I'm torn because the ones I know, I love so it's making me want to read the rest. I'd have to add The Secret Garden, Swallows and Amazons and Treasure Island if I was doing a Top 10, but I can't work out which of your choices I'd drop to include them! The trouble is, ten is not enough! There are so many talented writers and illustrators out there. Cornelia Funke's Inkspell, Russell Hoban (any) Alan Garner's Elidor, Lynne Reid Banks, One more River, Tove Jannson's Moomins. Roger Lancelyn Green's Tales of the Greek Heroes....So so hard to pick. Which actually is a fabulous dilemma if you think about it. 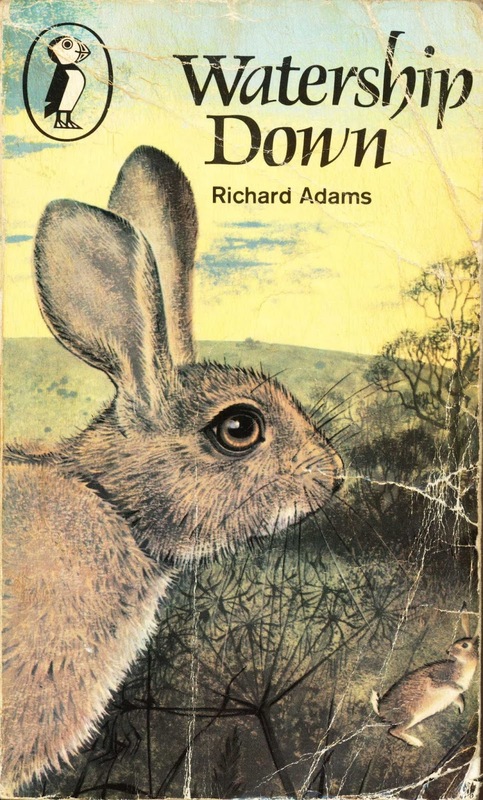 Watership Down was the first 'big book' I ever read. It took me months to finish it, but I loved every page. I'd never got to know book characters - or care about them - in such depth before. I've read it several times since and found something new to admire every time. 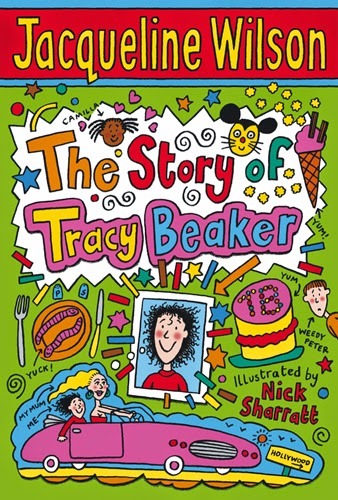 So as well as my number 1 children's book, it's probably my number one book - in any category - of all time. Yes, 'The Dark is Rising' sequence is absolutely wonderful. I don't know The Giver so will give that a go. What a great list! 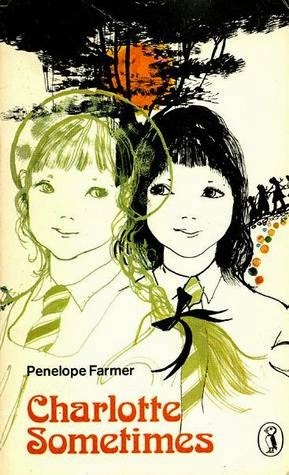 7 The Driftway - Penelope Lively. I read this for the first time recently and was captivated. I love your list! Have to admit tho', I've never read The Little Prince... Great to see Charlotte Sometimes on it - wonderful book, and who knew a time slip book set in a boarding school could inspire a Cure song! Thanks so much, Erica! I love The Secret Garden and Treasure Island, but have never yet read Swallows And Amazons, though I've been meaning to for a long time. 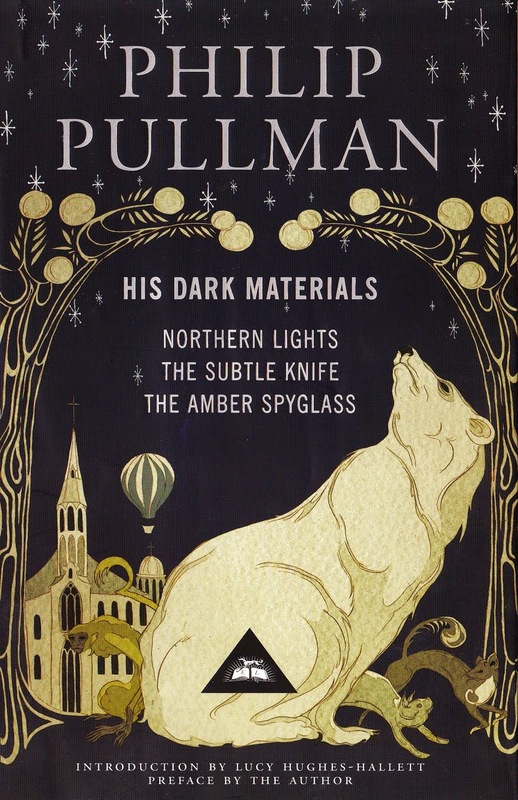 I know it would be on quite a few people's all-time favourite lists – including Philip Pullman's, I believe! Thanks for your comment, Charlotte, and I totally agree – ten is not nearly enough! And twenty wouldn't be enough, either. The field is just so rich and rewarding. Elidor, the Moomins, and Roger Lancelyn Green's myths are all big favourites of mine. I do like Russell Hoban too. I have a copy of Inkspell but haven't read it yet; and haven't come across One More River – but will look out for it now! What a wonderful experience, and what a great memory. Thank you so much for sharing it here. I feel very much the same about Watership Down – it's probably my favourite book of all time, regardless of category. Here's a blog I wrote about my own experience with it. I've not read The Giver either, but I know many people who love it, and Lois Lowry in general, so it's definitely on my TBR list too! Thank you, Sara – and wow! What a brilliant list! I am blown away by it. And along with Imogen's list, it just goes to show how many wonderful books our field has produced. I love the ones on it that I've read (1, 2, 3, 4 & 10), so I feel sure I would also love the ones I haven't read read yet. I'm especially intrigued by Warrior Scarlet, as I'm a fan of Sutcliff's but haven't come across that one yet. Is it one of her Roman ones? Thank you so much, Stella! The Little Prince is one of the first books I can remember coming across; I think it was the very first I read on my own, so it's deep in my DNA. But I think it stands up to re-reading, so I'd definitely recommend giving it a go. You'll know within a couple of pages whether you like it or not! And I'm always glad to meet another fan of Charlotte Sometimes – and indeed the Cure! Strangely enough, they're one of the few bands I can write to; here's a blog I wrote about writing to their music! It's one of her Bronze Age ones. It's about a boy called Drem who has a withered arm in a society that puts great store in physical prowess. Boys must earn their Warrior Scarlet to become men. The female characters are weak, too passive and poorly imagined, which is Sutcliff's great flaw for me, but it's an extraordinary and vivid journey into the long ago and Drem and his great fierce dog Whitethroat have had a place in my heart ever since I first read it. That sounds amazing; I'm going to seek it out. I absolutely love her Sun Horse, Moon Horse, which I read for the first time recently, and found heart-breaking & brilliant! Thank you so much, Rachel! That's a great list, thanks for sharing it here. And I know exactly what you mean about adding 500 more! Thank you so much for much for a fantastic list! I've been meaning to read Mrs Frisby and the Rats of Nimh for many years now - look forward to doing so soon! Finally someone said Harry Potter, that book changed my childhood and inspired me to get a degree in English literature and creative writing. I also went from the bottom of the class to the top after reading the series. I am surprised no-one mentions The Wind in the Willows by Kenneth Grahame, I always thought that was one of the most beautiful and funny books ever. 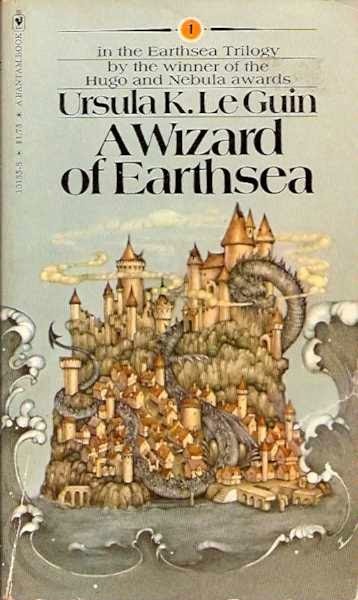 It is still one of my favourites, along with (of course) the Narnia Chronicles, Winny the Pooh, Alice in Wonderland, A Wizard of Earthsea, The Hobbit, and outsiders "Smoke from Cromwell's Time, by Joan Aiken, and "Het Sleutelkruid", a book by the Dutch children's author Paul Biegel (I am Dutch), I don't know if it has ever been translated into English. Margot van Herwaarden wrote: I have looked it up and Paul Biegel's book has been translated into English as "The King of the Copper Mountain". I found it on Goodreads and there are lots of rave reviews from English readers. And I see I listed only 8 books, so I have two more children´s books to choose. That would be Beyond the PawPaw Trees: The Story of Anna Lavinia, by Palmer Brown (lovely illustrations too), and The Last Unicorn, by Peter S. Beagle. What an inspiring story! Thank you so much for sharing it, Tamara - it's amazing to hear how children's books can change people's lives so deeply! Thank you so much for your thoughtful comments! I love many of the books on your top ten, including The Wind In The Willows (especially the parts about Toad, who I think is one of the great creations of children's literature.) 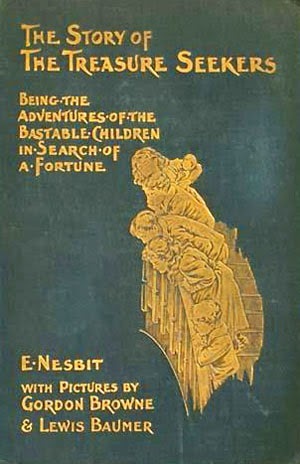 And I'm excited to hear about books that are new to me, such as The King Of The Copper Mountain! I'll certainly be looking out for it now. Margot van Herwaarden: Thank you for your reaction. I would love to hear what you think of The King of the Copper Mountain. 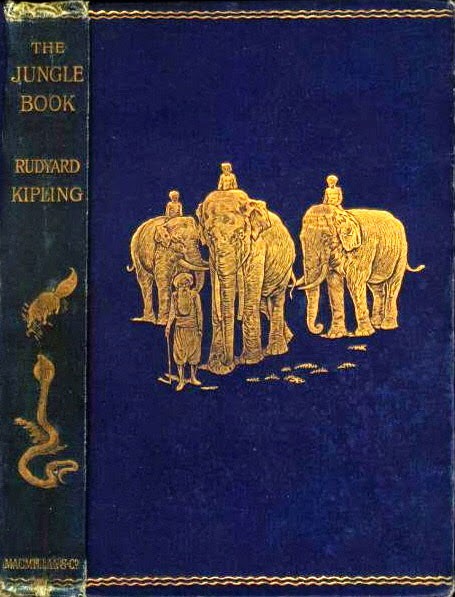 It was voted Children's Book of the Year in the Netherlands (this was many years ago), and it is still mentioned often as one of the best Dutch children's book ever. That sounds fantastic, thank you again! I have just read The Phantom Tollbooth (inspired by all the lists I have seen here) and I must say it is quite wonderful and very funny! It certainly deserves to be on anybody's top 10. Thank you so much for the comment! The Phantom Tollbooth was in and out of my own top 10; I found it very hard to leave it out. On another day, it might well have been in. So I'm glad you liked it, and glad these lists inspired you to read another classic children's book! I think that Phoenix should be on that list! P.S. Are you planning on writing a sequel to the book? That's incredibly kind of you, thank you so much! I'm not currently planning to write a sequel to Phoenix, as I don't know where I would take the story after that ending, but you never know - anything is possible! Varjak Paw – The Musical!